Make the atmosphere come alive with gentle floating snow and confetti …it’s all the rage! The Wonderfall Jr. confetti machine comes fully assembled right out of the box with full instructions, three AA batteries, a small handheld On/Off remote control, two bags of confetti: a multicolor party bag, and a bag of snow. Mounting hardware includes: Hook (see pic), Ball Joint Mount, and a Mounting Rim. Wonderfall Jr., will last up to 3 hours when filled with our custom snow or party confetti. Want another color or shape of confetti? We have a range of colors to choose from or you can make or use your own! 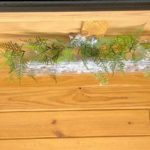 Wonderfall Jr’s confetti is biodegradable and flame retardant and can be used outdoors. Use Wonderfall Jr. in 5 minutes with three easy steps: 1) fill with your confetti or snow. 2) attach the hook or ball joint mount and hang. 3) turn it on using the small remote control ! It’s so easy and adds so much energy and beauty to any setting. Show off your creative skills and hang Wonderfall Jr. over your party or dance floor, displays, a Christmas tree, or village display or even a small church or theatrical stage. Click the small remote to “On” and watch the beautiful falling effects as confetti or snow float down. At Wonderfall, we use carefully chosen materials for the most realistic snow and confetti falling effects. Wonderfall Jr.’s snow comes in two varieties: a tissue snow that makes for great snow effects on small stages, displays, parties and more, and a fine starch-based snow that is great for close up viewing of village displays and even some outdoor displays. Our tissue flower petals and fall leaves hang in the air and gently fall wave-like to create a beautiful atmosphere over any event. Wonderfall Jr. is ideal for Small Church and Stage Productions, Weddings, Proms, and Theme Parties. Like all of our products, Wonderfall Jr. is totally silent, involves no messy liquids, and, because it’s adjustable, you can use your own confetti, or choose from multiple confetti options using our suite of custom shaped and colored confetti such as pink flower petals and orange, red and yellow fall leaves. Don’t worry about mounting either, because Wonderfall Jr’s single hook option can easily hang from most anything and it weighs just 3 pounds! 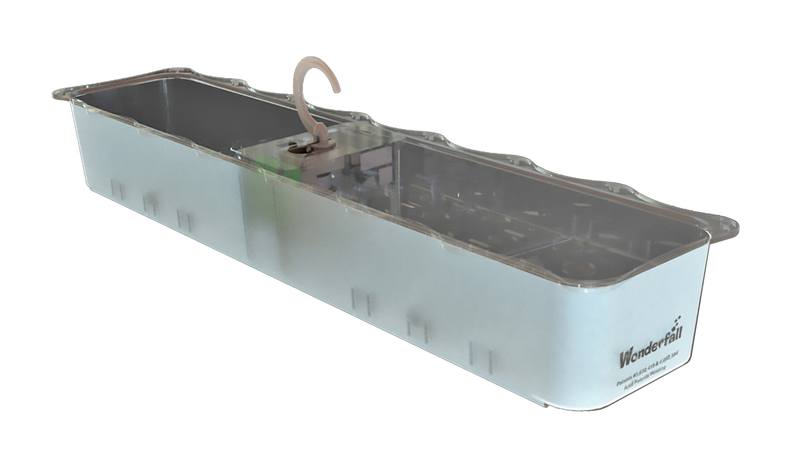 Like Wonderfall XL, Wonderfall Jr. is ready to go right out of the box and its’ everything you need inspire and amaze your friends and customers. A collage of videos from different events and settings. 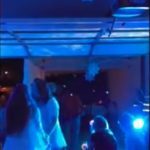 TLC Events in Georgia used Wonderfall Jr. over a dance floor…and it was a huge hit. 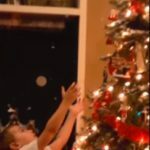 This is a picture of Wonderfall Jr. in action over a Christmas tree as their young son Wyatt is trying to catch snowflakes…cute! Wonderfall Jr. can be easily decorated to help it blend in during special occasions.